Last month, our PRStudChat—hosted by Shonali Burke—featured a discussion on how to get started in digital marketing analytics. This month, the #PRStudChat community met to talk about digital corporate reputation. Our guest host was none other than Mike Schaffer, senior vice president of digital corporate reputation at Edelman. He was joined by Deirdre Breakenridge, Valerie Simon, and Laura Petrolino. “Where was Mike Connell?” you ask? All I can say is: Maybe they’ll let me out of my box next time. 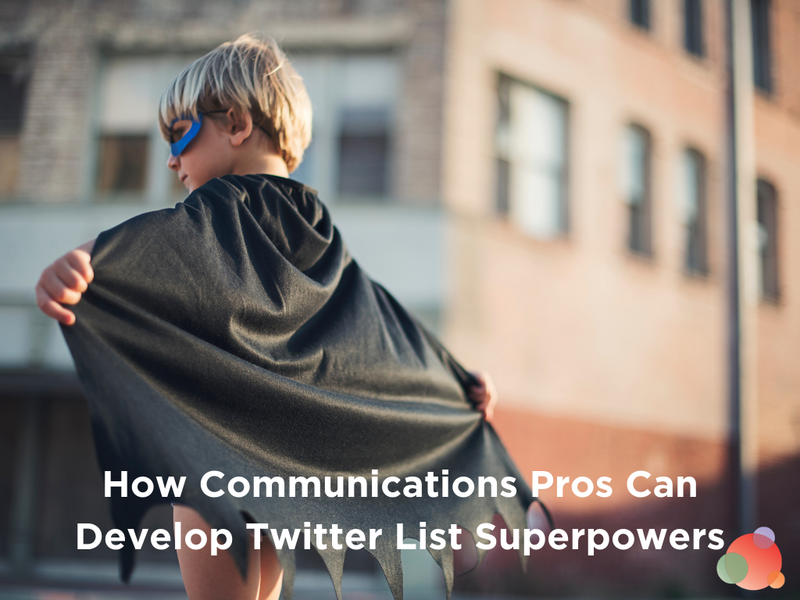 Ultimately, joining them were throngs of #PRStudChat fans and community members. As a group, they broke down the best practices for online reputation management and discuss the ways that PR pros can mitigate reputation risk. One of the key #PRStudChat findings? “Think inside-out,” says Schaffer. The Trust Barometer reveals a world of seemingly stagnant distrust. People’s trust in business, government, NGOs, and media remained largely unchanged from 2017 — 20 of 28 markets surveyed now lie in distruster territory, up one from last year. Yet dramatic shifts are taking place at the market level and within the institution of media. Outside of trust itself, the Edelman Trust Barometer speaks to an underlying issue and ultimate battle for truth. People have retreated into self-curated information bubbles, where they read only that with which they agree, as if selecting their playlist for music. Fully half of respondents indicate that they consume mainstream media less than once a week. Nearly six in ten agree that news organizations are politicized, and nearly one in two agree that they are elitist. Nearly two-thirds agree that the average person cannot distinguish good journalism from falsehoods. #PRStudChat: What is Digital Corporate Reputation? Very interesting groundwork, however, we still had to address what digital corporate reputation actually means. 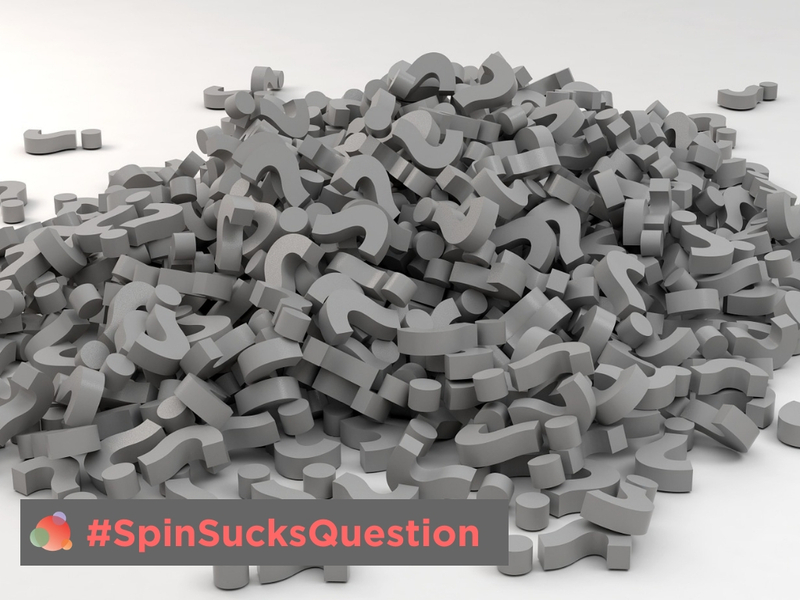 Despite the fact that we sponsor the #PRStudChat, we swear we didn’t prompt that response (yay PESO model). The moral? It’s all about storytelling, and consistency in how and why those stories are told. That, and the ability to listen. You can tell all the stories in the world. You can cultivate an amazing digital corporate reputation. What are people saying? What are their interests? How does that relate to your brand and its message? By extension, if you don’t listen, your reputation won’t matter. You’ll have lost the trust of your audience, along with their interest. PR Student Chat continues to partner with trusted industry leaders to help shed light on the ever-changing issues that affect our role as PR, marketing, and communications professionals. Why? It helps students, and practitioners alike, learn from the experience and perspective of other industry professionals. A community where everyone can learn and grow together. Stay tuned for our next session (likely the end of June), topic, and guest host! 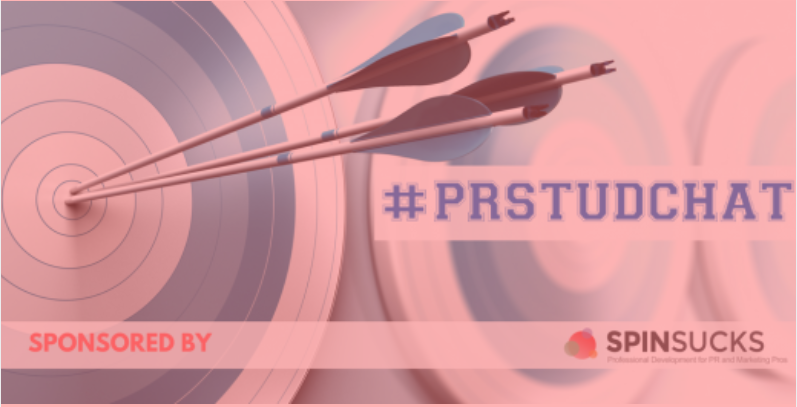 Please check out some of the highlights from #PRStudChat below, or simply follow the hashtag on Twitter.